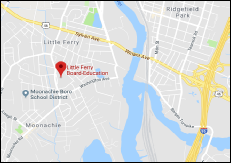 Structural Systems Repair Group (SSRG), with headquarters in Cincinnati, OH, was contracted by Hunter Modular Construction, Inc. to install (212) helical piles for a foundation system for Modular Building Complexes at the Little Ferry Board of Education in New Jersey. 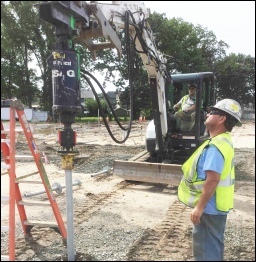 Weather Be Damned - Helical Piles were the Perfect Choice for this Above-Ground Structure Project. Kudos to the Crew for Completing the Project on Time and on Budget. 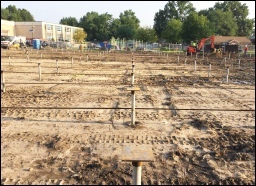 Hunter Modular Construction contacted SSRG to help develop a helical pile foundation solution for the modular building complexes for Little Ferry Board of Education. 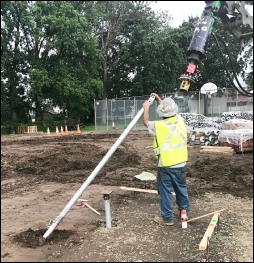 After a few engineering discussions and reviews, the structural engineer designed (212) helical piles acting as a foundation for two building complexes. 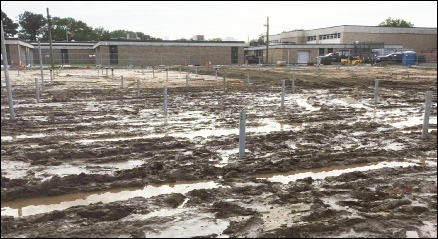 The soils on site were designated as poor (WH at some locations) through 28’ to 30’. The average pile embedment to bear on the fine sand ended up being 35’. 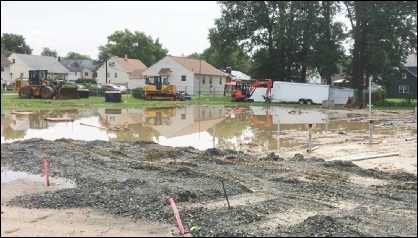 During installation of piles, the crew had challenges working in heavy rains for a couple of days. 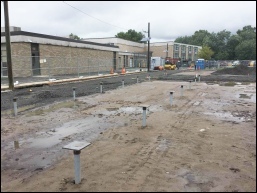 However, the rains did not stall the work schedule thus affirming the use of helical piles as a better solution in adverse weather conditions.